Missouri Gov. 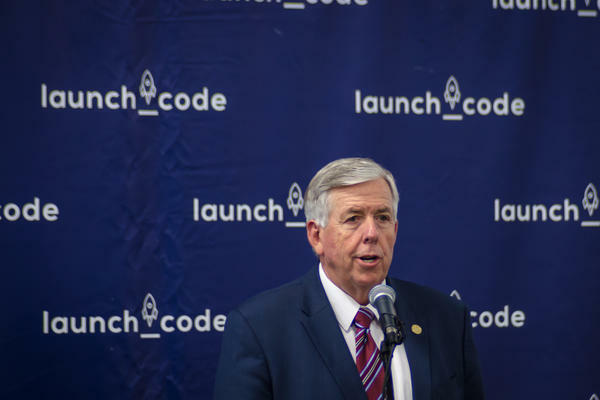 Mike Parson speaks at LaunchCode Tuesday, Sept. 4, 2018, about his desire to work with the Legislature to fix two bills he vetoed earlier this year. Fitzwater is sponsoring one of two House bills during the special session to provide online STEM courses for Missouri secondary-school students – the other is sponsored by Rep. Bart Korman, R-High Hill. Sen. Doug Libla, R-Poplar Bluff, is sponsoring a companion bill in the Senate. Sen. Jamilah Nasheed, D-St. Louis, said she supports STEM education but questions using a special session to do it. “I just don’t see how individuals in this chamber can do away with waste and reduce waste, when I actually believe that what we’re doing today, we could have done it in January and fast-paced it by way of an emergency clause,” she said. Lawmakers will also consider legislation to expand treatment courts during the special session. Parson vetoed an earlier version after it was expanded to include rules regarding abandoned property and the retirement of judges. 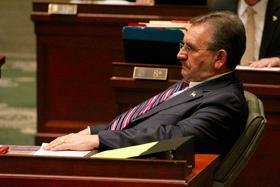 He vetoed the bill over concerns it violates the state constitution’s single-subject rule. One of the STEM bills and a treatment court bill are scheduled for public hearings Tuesday afternoon by two separate House committees. They’re also expected to vote on both bills after the hearings. On Wednesday, the House and Senate will hold their annual veto session, but lawmakers are not expected to try to override Parson’s vetoes of the original STEM and treatment court bills. They may instead consider overriding some of Parson’s line-item vetoes he made to the state budget. Parson also vetoed a resolution that called for a statue of Thomas Hart Benton, located in the U.S. Capitol, to be replaced by a statue of President Harry S Truman. Parson said the copy of the resolution delivered to his office named Thomas Hart Benton the artist and muralist, while the statue in Washington, D.C., is of his great-great uncle, U.S. Senator Thomas Hart Benton.